Sling Storage Rack - Blue Steel Co., Inc.
Blue Steel Sling Storage Rack was designed with safety first. The master link is decoupled from the lift hook after the weight of the sling is off the hook. Sling Storage Rack as installed. 2nd position is pinned and can be relocated if needed. The multi-position sling rack is bolted in place. 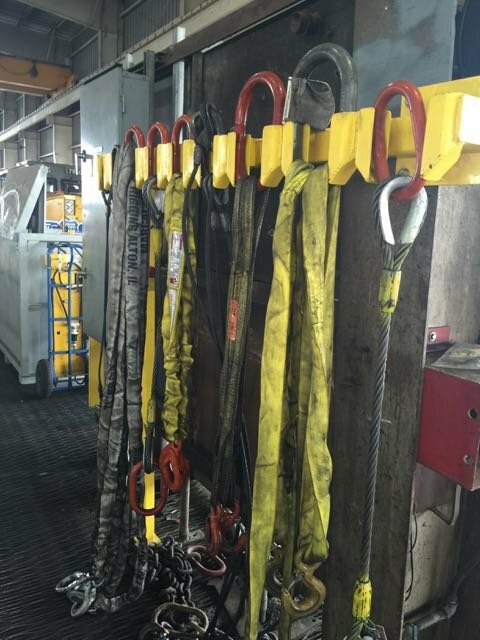 Heavy duty sling holders available in custom configurations.